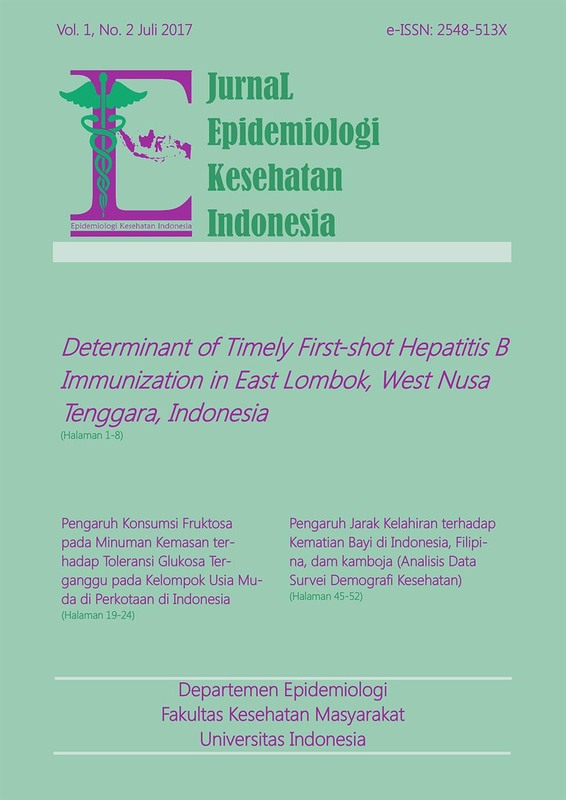 Jurnal Epidemiologi Kesehatan Indonesia is an online journal published by Department of Epidemiology, Faculty of Public Health Universitas Indonesia. This journal publishes Epidemiology and Public Health scientific article as respons to development of Public Health and Epidemiology. This journal will be published every 6 months. The publication on this journal will be subjected to double blind peer review process following a review by the editors. For this purpose, we invite researchers, epidemiologists and public health experts to publish the results of studies in this journal.